The 2019 Walt Disney Travel Company vacation packages for Walt Disney World® Resort will be available to book beginning June 19, 2018. This will not include the full year, as reservations can only go 499 days into the future, so a few weeks at the end of the year may be missing, but they will be added to the inventory over time. If you want to see the new Toy Story Land, or Pandora, or simply want to visit Walt Disney World in 2019 - contact us today to get a quote as soon as packages are available! Our FREE concierge level planning services are included when you book through us, so you get so much more for your money! by Deb, one of our Dream Makers! Thinking of a trip to Disney World with a baby? It’s not as daunting as it seems, with some preparation and some serious list making you can have a magical vacation with your little one! Disney really makes it easy to bring children of any age to the resort and that includes your baby. No matter which Disney hotel you stay at there are complimentary pack ‘n plays. Just ask for one at check in or have your travel agent add it to your special requests. One of the biggest concerns families have is how to get your little one around the parks all day. 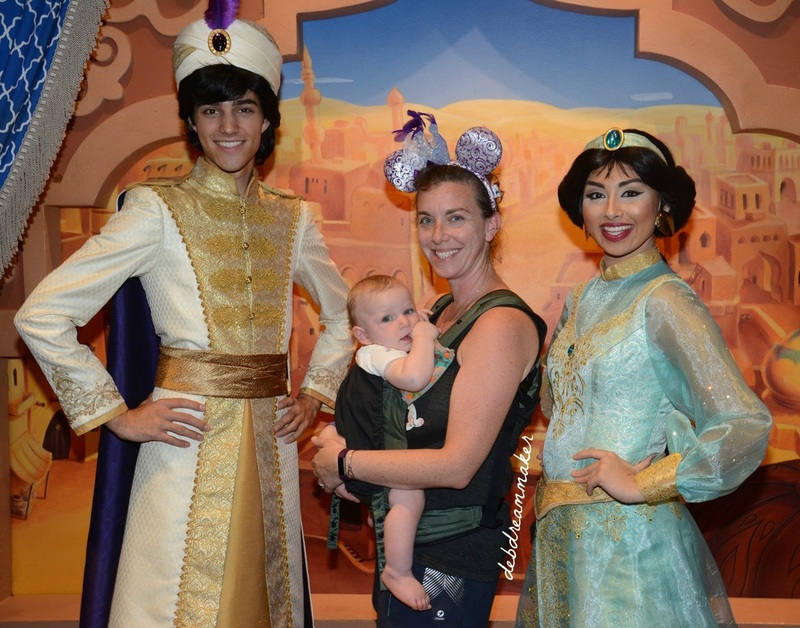 In my experience baby wearing is key to an enjoyable trip to the parks, baby is nice and comfortable and you still have your hands free to enjoy all the delicious Disney snacks. As long as your carrier allows you to be mobile you can do any ride or attraction that doesn’t have a height requirement without having to take the baby out of the carrier. Many of the queues for the rides have air-conditioning as well, so you and the baby won’t be too hot. For rides that have a height requirement you can take advantage of Disney’s Rider Switch Service. Just ask the Cast Member at the Fast Pass entrance and you’ll get a paper Fast Pass to use at a later time. Don’t forget to have the whole family there the first time so the Cast Member can see everybody. Bonus for the other kids in the family, they get to ride twice! When the baby carrier inevitably needs a break, strollers are also common and convenient around Walt Disney World. You can bring your own, rent one from any local stroller rental company (they will drop off and pick up at your hotel), or rent right in the park for the day. Disney also provides many stroller parking areas located close to attractions. Decorating your stroller so that it stands out is a good idea because Cast Members will move your stroller to keep the parking areas neat and organized. Strollers are also a great way to carry everything you need for the day. Don’t forget you can bring in all the food and supplies you need for your baby, no questions asked! For those mamas who are nursing, if you feel comfortable, feel free to have a seat wherever you need to feed your baby. I haven’t run into any situations at Disney World where a Cast Member (or ever a guest for that matter) said anything to me about feeding my baby. An indoor quick service restaurant is my favorite because I can take advantage of the air conditioning! If you don’t feel comfortable nursing in public, each park has a Baby Care Center that has a private nursing room with rockers. There is also a changing table room, a feeding area with highchairs, a kitchen with microwave, oven & sink, a main room to relax and a shop if you are missing any baby necessities. Also, all of the bathrooms in the parks (not just the women’s rooms) have a changing space and they are clean! And last but not least, baby is free! Children under three do not need tickets for the park and if you eat at a buffet or family style meal you do not need to purchase a plate for them, they can eat off of yours for no additional charge! You can find more information about Deb by clicking here! You can also find her on Facebook! If you are thinking of planning a trip to WDW or any other destination, she would love to help you plan! You get three advance Fast Pass+ reservations per day, and you can get more to use that day once you've used all 3 (or the time has passed) from a specified kiosk in the park. If you choose to use one of your initial selections for an evening time slot, you will not be able to get more fast passes during the day. You'll be able to do all week when your window opens, so start with your last day and go backwards if you are looking for Anna and Elsa! Everything else you should be fine getting at the 60 day mark. Ah, those snack credits on your Disney Dining Plan - what to do with them? Initially when you think about one or two snacks a day, it doesn't seen like a lot - and then on day 6 of your trip, you realize that you have 12 snack credits left and need to get through them! The value of the DDP is something that will forever be debated, and I strongly argue that smart use of your snack credits - in addition to your meal credits - will help you end up on the plus side of the equation! So with that in mind, I'm going to take a look at snack credits available in the different parks (and resorts, possibly) to offer some advice on the best and worst things to use your snack credits on! Keep in mind when reading this - I'm not saying the snack itself is bad! I'm saying that using your snack credit for that item isn't the best option, if you want that particular item, you would be better off paying out of pocket for it. There is one exception to this that I'll mention at the bottom - ideally, you wouldn't use either for that item! It used to be that the dipping sauces for the pretzels or churros, and the ice cream toppings, were a separate snack credit - but now they are included! So that moved the Pretzel down into the top spot of the worst use. If you're thinking of taking an all-inclusive vacation for the first time, you may be confused as to where to start! There are a variety of options all around the world, and narrowing down the possibilities can be a tough job. Here are some facts to make your decision easier! 1. Family friendly? Couples only? First, decide who is going on your vacation with you. Want a romantic getaway? Or do you want to bring the kids? Once you've made that first decision, it narrows down your list considerably. Couples looking for quiet and romance would be best suited at an adult-exclusive resort. Sandals Resorts, for example, offer romance, fun, and fantastic dining opportunities for couples on several Caribbean islands. 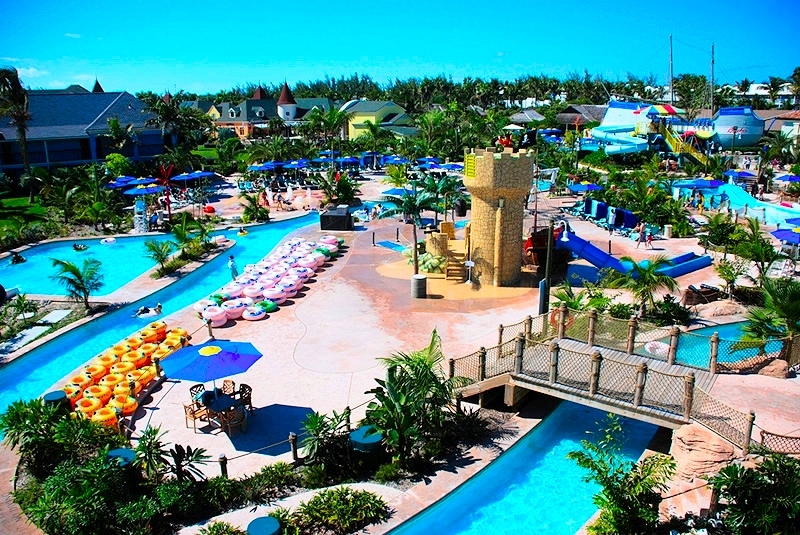 If you plan to bring the kids, finding a resort that will entertain the kids during the day, and offer babysitting service at night, is very important. Resorts that cater to families, such as Beaches Resorts, will have kids clubs, daily activities and the opportunity for Mom and Dad to enjoy some relaxation time alone! You can find all-inclusive resorts throughout the Caribbean, Mexico, South America and around the world. Finding the right location for you requires some thought. Do you want to be close to an airport? Would you like to experience some local culture, or stay sheltered within a resort? How far do you want to fly? When bringing children, especially, giving thought to the travel time from door to door is very important! Several islands offer multiple resort options, so once you narrow your search down, you may need to do even more research to find the resort perfect for you. Most resorts offer a variety of dining experiences, from buffet to gourmet. Once you have selected your resort, talk to your travel agent about making dining reservations so you can enjoy everything there is to offer! In addition, many offer room service included in your price - so order breakfast in bed, or get room service to deliver for your children and the free babysitter while you enjoy a romantic dinner! All-inclusive resorts will have pools and beaches - and often even more amenities included, so take advantage! Water sports, snorkeling, special activities and events, land sports, games, kids clubs...the list goes on and on. Some offer unique activities, like Beaches Scratch DJ Academy, that are an extra cost. Most resorts feature spas, and although special offers may include a spa treatment, typically they are an extra fee. At some resorts, all gratuities are included. If you receive exceptional service and choose to tip additional, you are free to do so, but make sure to ask your Travel Agent before you go so you know what to expect. Your Dream Makers Travel Agent will do their best to make sure you get the most out of your vacation, and that you pick the perfect spot for your travel party! Talk to us today to get the best deals and the most personalized service at no cost to you! "A Magic what?" Since the Magic Bands were announced and implemented, confusion has followed them! Now that they are in full use and paper fast-passes are no more, key cards are gone, understanding what they are and how they work is crucial. So let's take a look at the top things you should know before you even order your magic band! After you make your reservation, your Vacation Planner will direct you to the Disney website, where you will create an account for My Disney Experience (or your Planner will do so for you). Once you log into MDE, you'll see a link for "Magic Bands and Cards", where you will find information on ordering your Bands. You will be asked what color you would like, and what name should be imprinted inside. You can pick any name you want, feel free to have some fun and give everyone Dwarf names! You will be given a date that you need to complete this process before they ship. Magic Bands are a free perk of any guest staying at a Disney World Resort, if you are staying outside of the park you can purchase them. If you are an Annual Passholder, you will receive a Band - after you take your first trip and activate your AP. 2. What color should I pick? You can pick any of the above colors, and everyone in your family can have the same color if you want. Your names are imprinted inside, so it's easy to know which one belongs to each of you! However, if you choose to purchase them, try to pick different colors - it would get confusing to have 4 Blue bands with no names inside! Theme Park tickets? Check. Fast Pass? Check. Room key? Check. Dining plan? Check. Charging privileges? Check. Memory Maker? Check. All that, and you haven't put a single thing in your pocket! For an afternoon at the pool or a day at the water park, knowing your valuables are secured around your wrist and your wallet is safely locked in the safe in your room can help you relax and enjoy! Not really, but wouldn't that be great?! The Band isn't a GPS locator, so they can't track your exact movements throughout the day. However, it has RFID capabilities, allowing it to communicate with the turnstiles in the park, the scanners at the cash register, and on your room door. It also has some long-range capabilities that are beyond my understanding, but they allow Disney to recognize you on some rides and save your pictures or video to your Memory Maker account. For those of you flying, the Magic Band will not cause any problems at TSA. If you wear the band, it saves you a lot of digging when you reach the Magical Express entrance - they can scan your Band and off you go! 6. Will it help my lost child? Hopefully this won't happen, but it's every parents nightmare - you get separated from your child in the parks and can't find them. Now with the Magic Bands, a Cast Member can scan their Band and get their name. It will not Explain to your kids who they should talk to in the event they get lost - any cast member with a name tag, (I specifically point out the Janitorial staff in their all white who are easy for a child to find, or to go into a store and talk to the person behind the counter) and you can be reunited in minutes. My husband is a spender - and my kids take after him! So I can set the pin or not on each of their bands, keeping charging limited to whoever should be able to charge back to the room. If you have older kids who would be on their own and want to use it for a snack, you wouldn't be able to do this, since you have to enter the pin for each use of a Dining Plan credit. If you purchase the Memory Maker, or just want to look back at your memories, this is a great feature. Every ride that takes a picture will automatically download your photo into your account! That RFID chip that I mentioned earlier can "see" you on the ride and save the picture for you. No more stopping at the desk on your way out with your memorized number to get your picture. You should be forewarned, though - the Magic Band will cause a tan line, so put your sunscreen and your Band on and enjoy your day! If you are using the Disney Dining Plan, finding some excellent food to use your credits on can take some work. Here are several options that offer the best variety and quality to use your dining service credits on. Families not using the Dining Plan can also take advantage of the large portions available at these selections to split meals, offering some savings. The large portions also offer people on the dining plan the option of splitting a lunch and saving a QS credit for a breakfast - perhaps some Tonga Toast? This hard to get dinner spot is open for a Quick Service lunch, best obtained by reserving a fast pass for the meal. If you are staying at a Disney resort, they will email you an invitation approximately 28 days prior to your arrival, providing the link to the fast pass reservation site. This fast pass does NOT count towards your ride/attraction fast passes, so you can still make three selections for the day of your lunch, plus the Be Our Guest selection. When you select your fast pass, you’ll have the option of reserving a table or selecting your meals. Don’t worry, if you make a selection and change your mind, you can modify when you arrive. There are three dining rooms open for lunch, the main ball room and two smaller rooms (including the Rose Room) on either side of the main room. Drinks are self-serve, the rest of your meal will be magically delivered to your table! Great respite from the heat, wonderful not to have to stand in a long line then carry a heavy tray to your table, and the food is fantastic. Make sure you try a Grey Stuff cupcake! An easy boat ride from Hollywood Studios, and boat ride or walk from Epcot, the Boardwalk Bakery is newly renovated and offers a huge bang for your QS buck. Selections include sandwiches (including a lobster roll), salads and soups, and a QS meal comes with your choice of side item, drink and bakery item. The bakery items alone are drool-worthy, from the enormous cupcakes to the Peanut Butter Banana and Candied Bacon Pie. There is no seating inside the Bakery, but there are plenty of tables out on the Boardwalk to sit and enjoy your meal, or you could take it back to your resort pool and enjoy, since it’s all packaged neatly into boxes and then bagged, so easy to transport to your resort. Fantastic option for lunch or dinner, and they are also open for breakfast, where you could use a snack or QS credit depending on your appetite. Often touted as the best Barbeque on Disney property, the Flame Tree BBQ offers large lunch or dinner portions and a wide menu selection for everyone in your party. You can find everything from a large order of ribs to a fruit plate with yogurt – or have the infamous turkey leg as a QS meal! Kids menu selections are slightly varied from other kids menus, offering a great change for the younger members of your party. It does have outdoor seating, but it’s covered and the fans are on, providing some relief from the heat. Why Use a Vacation Planner? Your dreaming of a Disney vacation, but have no idea where to begin. You went to Disney once when you were a kid, and have thought about going back ever since. You're a grandparent thinking of taking your kids and grandkids to Disney for a memorable vacation. You're a honeymooner wishing for romantic dinners, strolls down Main Street, and a lot of fun. You're an empty nester, finally able to take a vacation alone with your spouse. You've been to Disney a bunch of times, and think you know everything. Save money. I'll let you know what the best options are for you when you are booking, and then I'll keep checking to see if there are any specials that can be applied to your trip. Save time. And stress. The most common complaint heard about Disney vacationing right now is "I have to do all THIS before the trip?" Booking the vacation, booking Magical Express, advance dining reservations, Fast pass selection...it's a lot to get done. You need to know where you will be on each day to make these decisions in advance, and you need to know what the best approach to all of this is. I have tools that can help you with all of this, and I'll do as much of your dining and fast pass reservations as you want me to. I'll make sure every aspect of your vacation is booked, and help you make revisions if you decide you need them. It's easier and friendlier to use a vacation planner. It may seem easy to book through a travel website, but that only gets you so far. It's far more personal to discuss your family and get personalized advice on which resort to choose, whether you should utilize the dining plan, if you need a rental car or can depend on transportation, whatever special services you may need, where you may like to eat, what rides you may enjoy, how you can surprise a loved one with a personalized gift....the list is endless. The travel website gets you a room to stay in, I help you customize the vacation of your dreams. I am a graduate of the Disney College of Knowledge, and I would love to share that knowledge, my experience, and a wealth of information with you. Contact me today to discuss your dream vacation! If you have already booked your Disney vacation directly though Disney and feel you need some help, contact me to discuss what I can do. It's a vacation - it's supposed to be relaxing and fun! Let me make your wishes come true!